Gwinnett County, Georgia: a Microcosm of a National Conversation. SAR Resident Scholar on Immigration, Urban Planning, and Politics. 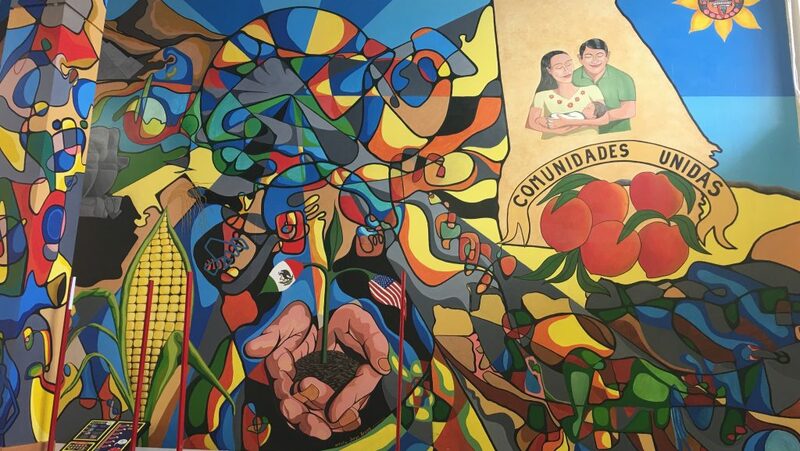 Latino unity mural inside Plaza Fiesta (popular Latino mall) in suburban Atlanta. Courtesy of John Arroyo. A hotly contested gubernatorial race in Georgia continues to receive national attention more than a week after the 2018 mid-term elections. On Wednesday, November 14, a federal judge in Georgia ruled, as part of a lawsuit by the Democratic candidate, Stacey Abrams, that absentee ballots with slight discrepancies in addresses or signatures would be added towards vote counts. This ruling placed the race one-step closer to a forced run off between Abrams and Georgia’s former secretary of state, Brian Kemp. For SAR’s 2018-2019 Mellon Fellow John Arroyo, the election is more than just a news story passing through his feed. 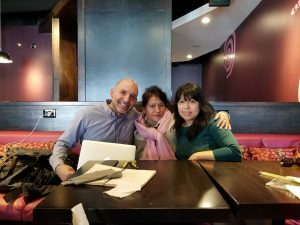 Since July 2016, Arroyo, the MIT-trained urban planner, has been visiting Gwinnett County, Georgia, and researching Mexican immigrant experiences in the region. 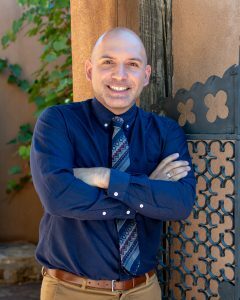 With immigration as one of the top issues voters note as important in their choices for elected officials, Arroyo’s timely ethnographic research illustrates the importance of new perspectives based on interdisciplinary research that bridges urban planning with migration studies, Latinx studies, and urban sociology. Local policies like this have continued to heighten what Arroyo sees as detrimental to the potential economic and cultural contributions as well as the overall livelihood of newcomer immigrant populations in suburban areas. Perhaps immigrants and their communities in Gwinnett provide a valuable lens through which to view where our nation currently stands. Based on his research and working with Mexican immigrant communities, Arroyo sees this stance situated in a rhetoric of fear. Arroyo notes that industries like agriculture, construction, poultry, and carpets in Georgia depend on Mexican-immigrant populations. Meeting with community leaders supporting Mexican immigrants in Gwinnett County, Georgia. Courtesy of John Arroyo. He argues that if immigrants were allowed to legally live more humane, circular lives between their home and host country, they could contribute to the U.S. economy while also being able to be more independent and support their families’ economic stability on both sides of the border. He is hopeful though; there is a new wave of local officials as a result of this election and he sees progress coming from advocacy groups working to improve relationships between locals and incoming international residents. These changes, he hopes, will break some of these narratives of fear. Groups like Welcoming America (headquartered in Georgia) are doing work to connect newcomers and natives to illustrate the ways people actually have connections between each other – regardless of where they are born or where they come from. For Arroyo, addressing this tension provides ample opportunity to shift the politics of places like Gwinnett or similar counties to understand and celebrate the economic, cultural, and social contributions of immigrants in areas new to them. 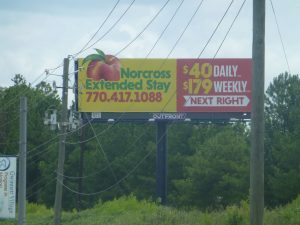 Extended-stay hotel billboard representative of suburban poverty and affordable housing security issues in Gwinnett County, Georgia. Courtesy of John Arroyo. The School for Advanced Research hosts six resident scholars annually who are working to advance creative inquiry in social-science fields through their projects. Learn more and meet the 2018-2019 resident scholars here. UPDATE: On the afternoon of November 16, 2018 Abrams delivered a speech indicating that her opponent, Brian Kemp, would move forward as Georgia’s next governor. Learn more from NPR or the New York Times.